My blogger friend and fellow football lover, Lauren, is starting a new online digital magazine and she needs your help! 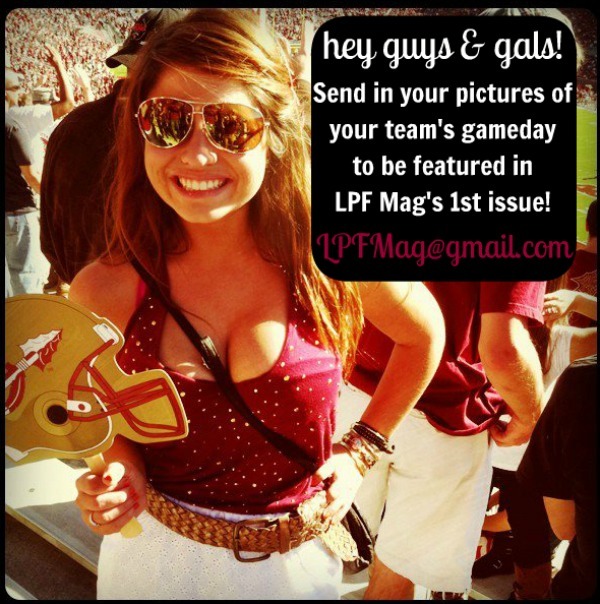 Please send her your stylish gameday pics to be featured in the magazine's first issue. Also make sure you check our her fashion blog, La Petite Fashionista. Her recent post for Honey Lime Chicken Kebabs, had my mouth watering and I love her recent Target finds.